Tyre Gel continues to be a favourite among enthusiasts looking for extra-long lasting performance with a great look. Its unique formulations stop tires from turning brown and eliminate the mess of overspray, drips, streaks and spotted driveways. Ensure that the tyres are clean before application. Apply a 1 pound coin size of product onto the Tyre Dressing Applicator Pad and spread evenly across the tyre. Wipe off any excess to prevent any product sling. For even higher shine, apply a second coat after waiting 10 minutes. So why not grab this deal right away? Place your orders now. 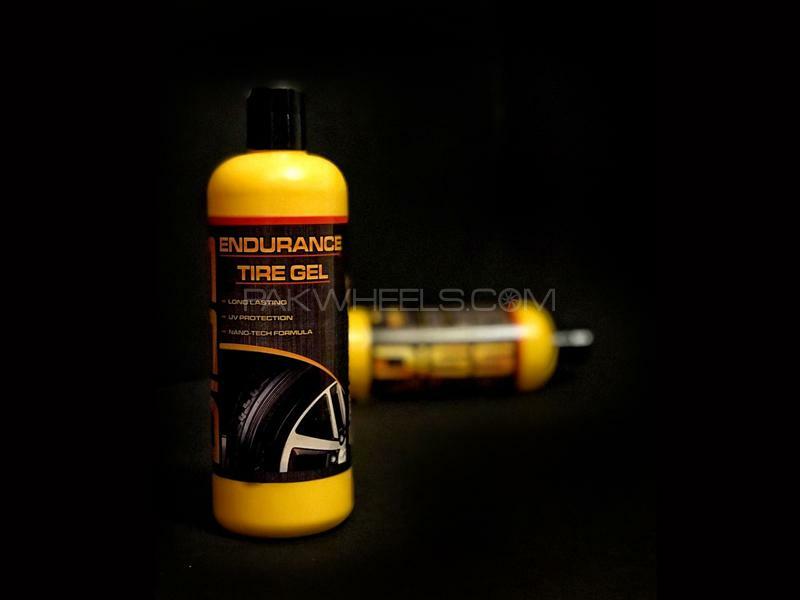 Hi, I am interested in your auto part "Diss Endurance Tire Gel 400ml" advertised on PakWheels.com. Please let me know if it's still available. Thanks.